Wine and climate change: Pinot noir is the vintner’s polar bear. The opportunities and challenges that climate change presents to vintners. 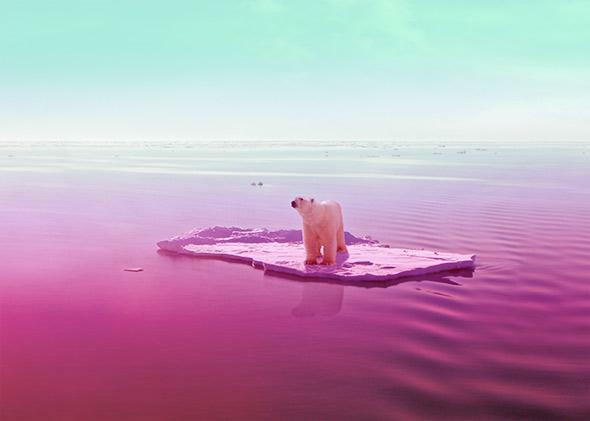 Polar bears and pinot noir have more in common than you think: both symbolize climate change. This article is part of Future Tense, a partnership of Slate, New America, and Arizona State University. On Thursday, Jan. 15, Future Tense will hold an event in Washington, D.C., titled “How Will Human Ingenuity Handle a Warming Planet?” For more information and to RSVP, visit the New America website. If plants had a climate change ambassador akin to the animal kingdom’s polar bear, it would probably be pinot noir. If the withholding, thin-skinned, and heat-averse wine grape were your girlfriend, your friends would call her high-maintenance. Even subtle shifts in climate affect pinot noir. Oenophiles worship its “transparency”: the unfiltered expression of both terroir and vintage—where it was grown and what conditions it faced while doing it. Pinot noir likes to live on the edge, producing its most elegant expression when planted in warmer pockets of cooler places. As frost-tolerant as many whites, it has the narrowest agreeable temperature range of the top 15 most planted varietals. Think of it as the Goldilocks of grapes, producing flabby and boring wine if it’s too hot, flat-out refusing to ripen if it’s too cold, but creating magic in a glass when conditions are just right. But unfortunately, those “just right” conditions are becoming less predictable in pinot noir’s typical stomping grounds in the United States: drought-stricken California and even farther north, in heat-buffeted Oregon. Both states saw the earliest wine grape harvests on record this fall, with many vineyards hauling in their last bin of grapes before the first bunch would have been cut in what used to be called an average year. In both states, 2014 will go down as the warmest vintage on record, beating out 2013, the next warmest. For grape farmers farther north, the prospect of a few extra degrees can sound more like a snuggly blanket and less like an existential threat. 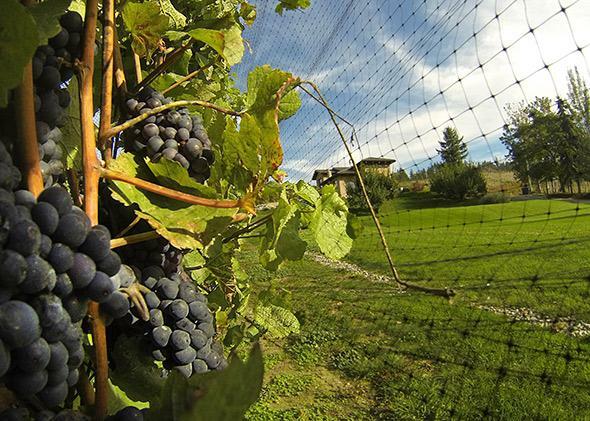 In Washington state, New York’s Finger Lakes, and British Columbia, the warming effects of climate change are improving the size and quality of pinot noir planted on the chilly outreaches of the grape’s range. Planting vineyards in Washington and Canada offers its own challenges, including shorter growing seasons (though more hours of daylight). There is increased risk of both frost and storms from the Gulf of Alaska that can sweep through at just the wrong times. But as rising prices per acre in Oregon will attest, the land rush there is definitely on, with winemakers and speculators from California, France, Las Vegas, and beyond recently snapping up parcels. Vineyard real estate is still not near the $300,000-plus per acre that Napa commands, but recent sales have pushed toward $60,000 per planted acre. He embraces the polar bear metaphor. “We might be the last iceberg,” he says, gesturing at 50th Parallel Estate, a $25 million winery still under construction at the same latitude as the pinot noir mothership: Burgundy, France. Shiny mica flakes in the soil glint extra sunlight onto vines precision-planted to maximize sun bouncing off neighboring Okanagan Lake, a glacier-gouge so deep in places you could sink a 70-story building into it and not see the cellphone antennae on top. Parts of California and Oregon are getting too warm to cultivate the pinot noir grapes that have traditionally thrived in those regions. Meanwhile, predictions have been ominous about pinot noir’s future at the warmer end of its range. Climate change could cut Northern California’s premium wine grape acreage (all varietals) in half by 2030, according to a 2011 Stanford University study, which also forecast increased premium grape acreage development in Oregon and Washington. In the three years since the study was published in Environmental Research Letters, California has been locked in a devastating drought. Lee believes that if the drought continues unabated, pressure from cities or fruit- and vegetable-farming could drive wine grapes out of some ZIP codes—like the Santa Lucia Highlands and the Salinas Valley—before climate change does. In addition to the 2014 harvest being “incredibly early,” as Lee put it, it was also compacted. Rather than staggered over weeks, the grapes ripened all at once and faster than double-scheduled crews could bin them up, or wineries, maxed out on fermentation tank capacity, had space to bring them in. The “numbers” coming in from the lab—which tested sugar and acid levels—produced everything from worried looks to groans to unrestrained expletives. Which is not to say 2014 will be a bad vintage for California or Oregon pinot noir. But it will be a challenging one for winemakers, who will be forced to use a heavier hand in their formulation, adding everything from tartaric acid to “Jesus units” to create anything resembling a “restrained” and “elegant” vintage. What worries some Oregon winemakers is the prospect that a glut of jammy, high-alcohol pinot noir could hit the market, confusing less-informed consumers who may not know what the varietal is “supposed” to taste like. Short of pulling up stakes and moving their operations northward, there are many things that growers can do to adapt to climate change, stressed Jones, the Southern Oregon wine climate scientist. They can replant with later-ripening clones, at higher elevations, orienting the vines and pruning the canopy to shade the fruit and otherwise slow down maturation. There may very well come a day when pinot noir can’t move farther north to evade the effects of climate change, Jones said, but he has reason to believe that we’ll find a way to arrest climate change or improve the vine’s chances of survival through breeding or other forms of innovation.